Today is the 106th anniversary of Ernest Friedrich Schumacher’s birth. To honor the occasion we have included below excerpts from his classic, and still profoundly relevant, 1966 essay “Buddhist Economics.” The full text and its multiple translations may be read at the Schumacher Center’s website. 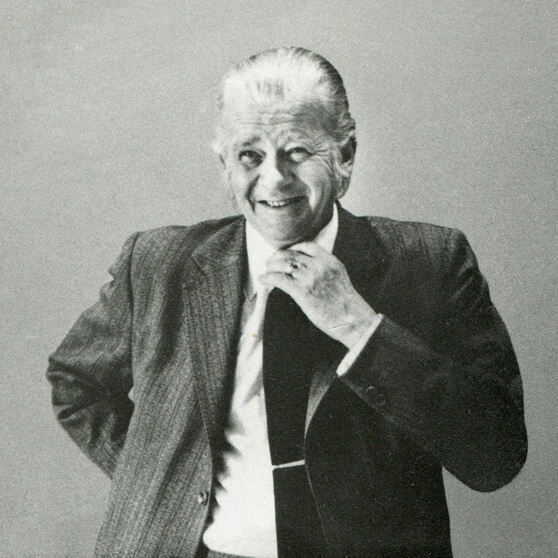 In 1973 “Buddhist Economics” was collected with other essays by E. F. Schumacher in Small Is Beautiful: Economics As If People Mattered, published by Blond and Briggs, Ltd. It is also clear that Buddhist economics must be very different from the economics of modern materialism, since the Buddhist sees the essence of civilisation not in a multiplication of wants but in the purification of human character. Character, at the same time, is formed primarily by a person’s work. And work, properly conducted in conditions of human dignity and freedom, blesses those who do it and equally their products. While the materialist is mainly interested in goods, the Buddhist is mainly interested in liberation. It is not wealth that stands in the way of liberation but the attachment to wealth; not the enjoyment of pleasurable things but the craving for them. The keynote of Buddhist economics, therefore, is simplicity and non-violence. From an economist’s point of view, the marvel of the Buddhist way of life is the utter rationality of its pattern—amazingly small means leading to extraordinarily satisfactory results. Modern economics does not distinguish between renewable and non-renewable materials, as its very method is to equalise and quantify everything by means of a money price…From a Buddhist point of view, of course, this will not do; the essential difference between non-renewable fuels like coal and oil on the one hand and renewable fuels like wood and water-power on the other cannot be simply overlooked. Non-renewable goods must be used only if they are indispensable, and then only with the greatest care and the most meticulous concern for conservation. To use them heedlessly or extravagantly is an act of violence, and while complete non-violence may not be attainable on this earth, there is nonetheless an ineluctable duty on man to aim at the ideal of non-violence in all he does. Additional essays, audio and video clips, interviews, tributes, and the biography by Barbara Wood (his eldest daughter), are all available in the Legacy Section of the Schumacher Center’s website. In addition we are proud to steward the personal books and archives of Dr. Schumacher. The database of these collections may be searched online to see the scope of material that influenced Schumacher’s shaping of a new economics.